Queen is a British rock band formed in London in 1971, originally consisting of Freddie Mercury (lead vocals, piano), Brian May (guitar, vocals), John Deacon (bass guitar), and Roger Taylor (drums, vocals). Queen's earliest works were heavily influenced by progressive rock. In the mid-1970s the band ventured into more conventional and radio-friendly works, bringing them greater commercial success. It also became something of a trademark to incorporate more diverse and innovative styles in their music, exploring the likes of vaudeville, gospel music, electronic music and funk. Brian May and Roger Taylor had been playing together in a band named Smile. Freddie Mercury was a fan of Smile, and encouraged them to experiment with more elaborate stage and recording techniques. Mercury himself joined the band shortly thereafter, changed the name of the band to “Queen” and adopted his familiar stage name. John Deacon was recruited prior to recording their first album. In 1973, after a series of delays, Queen released their eponymous debut album, an effort influenced by the heavy metal and progressive rock of the day. The album was received well by critics. It drew little mainstream attention and the lead single "Keep Yourself Alive," a Brian May composition, garnered little attention. The group's second LP “Queen II” was released in 1974. The album reached #5 on the British album chart and became the first Queen album to chart in the U.K. The Freddie Mercury-written lead single "Seven Seas of Rhye" reached #10 in the U.K., giving the band their first hit. Their heaviest and darkest release, the album features long complex instrumental passages, fantasy-themed lyrics and musical virtuosity. Like its predecessor, sales of “Queen II” in the U.S. were low. Their third album, “Sheer Heart Attack” was released in 1974. The album reached #2 in the U.K., sold well throughout Europe, and went gold in the U.S. The single "Killer Queen" reached #2 on the British charts, and became their first U.S. hit, reaching #12 on the Billboard Hot 100 Singles chart. It combines camp, vaudeville, British music hall with May’s guitar virtuosity. The album’s second single, "Now I’m Here," a more traditional hard rock composition, was a #11 hit in Britain. In late 1975 Queen recorded and released “A Night at the Opera,” taking its name from the popular Marx Brothers movie. At the time, it was the most expensive album ever produced. Like its predecessor, the album features diverse musical styles and experimentation with stereo sound. The album was very successful in Britain, and went triple platinum in the U.S. 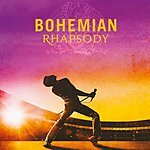 The album also featured the hit single "Bohemian Rhapsody" which was #1 in the U.K. for nine weeks, and is the third-best-selling single of all time in the U.K. It also reached #9 in the U.S. (a 1992 re-release after appearing in the film “Wayne World” reached #2 for five weeks). It is the only single ever to sell a million copies on two separate occasions, and became the Christmas #1 twice in the U.K., making it the only single ever to do so. The second single from the album, "You're My Best Friend,” peaked at #16 in the U.S. and went on to become a worldwide Top 10 hit. By 1976, Queen was back in the studio recording “A Day at the Races,” which is often regarded as a sequel album to “A Night at the Opera.” It again borrowed the name of a Marx Brothers movie, and its cover was similar to that of “A Night at the Opera,” a variation on the same Queen Crest. The album reached #1 in the U.K., Japan and #5 in the U.S. The major hit on the album was "Somebody to Love," a gospel-inspired song in which Mercury, May, and Taylor multi-tracked their voices to create a 100-voice gospel choir. The song went to #2 in the U.K. and #13 on the U.S. singles chart. The band's sixth studio album “News of the World” was released in 1977, which has gone four times platinum in the U.S., and twice in the U.K. 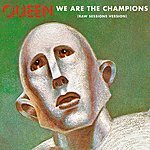 The album contained many songs tailor-made for live performance, including two of rock's most recognizable anthems, "We Will Rock You" and the rock ballad "We Are the Champions," both of which became enduring international sports anthems, and the latter reached #4 in the U.S. In 1978 the band released “Jazz,” which included the hit singles "Fat Bottomed Girls" and "Bicycle Race." The album reached #2 in the U.K., and #6 on the Billboard 200 in the U.S. Other notable tracks from “Jazz” include "Dead on Time," "Don't Stop Me Now," "Let Me Entertain You" and "Mustapha" in which Arabesque music is combined with heavy rock guitar. The band’s first live album, “Live Killers,” was released in 1979 and went platinum twice in the U.S. They also released the very successful single "Crazy Little Thing Called Love", a rockabilly song done in the style of Elvis Presley. The song made the Top 10 in many countries, and was the band’s first #1 single in the U.S. where it topped the Billboard Hot 100 for four weeks. Queen worked with David Bowie on the single "Under Pressure". The first-time collaboration with another artist was spontaneous, as Bowie happened to drop by the studio while Queen was recording. Upon its release, the song was extremely successful, reaching #1 in the U.K.
Later in 1981, Queen released their first compilation album, entitled “Greatest Hits,” which showcased the group's highlights from 1974–1981. It is the best-selling album in U.K. Chart history, has spent 450 weeks in the U.K. Album Chart, is certified eight times platinum in the U.S., and has sold over 25 million copies worldwide. In 1982 the band released the album “Hot Space,” a departure from their trademark seventies sound, this time being a mixture of rock, pop rock, funk and R&B. After working steadily for over ten years, Queen decided that they would not perform any live shows in 1983. During this time, they recorded a new album, and several members of the band explored side projects and solo work. In 1984, Queen released the album “The Works,” which included the successful singles "Radio Ga Ga" and "I Want to Break Free." Despite these hit singles, the album failed to do well in the U.S., while in the U.K. it went triple platinum and remained in the album chart for two years. In early 1986, Queen recorded the album “A Kind of Magic,” containing several reworkings of songs written for the Russell Mulcahy film “Highlander.” The album was very successful, producing a string of hits, including the title track, "A Kind of Magic." Also charting from the album were "Friends Will Be Friends," "Who Wants to Live Forever?," and the de facto theme from Highlander, "Princes of the Universe." After working on various solo projects during 1988 the band released “The Miracle” in 1989. The album continued the direction of “A Kind of Magic,” using a pop-rock sound mixed with a few heavy numbers. It spawned the European hits "I Want It All," "Breakthru," "The Invisible Man," "Scandal" and "The Miracle." At this point Mercury's health was deteriorating yet the lead singer continued to contribute. For the last two albums made while Mercury was still alive, the band credited all songs to Queen. In 1990, Mercury made his final public appearance when he joined the rest of Queen to collect the BRIT Award for Outstanding Contribution to British Music. The album “Innuendo” was released in early 1991 with an with the title track becoming a #1 U.K. hit and three other charting singles ("I’m Going Slightly Mad", "Headlong", and "The Show Must Go On) ." The band's second greatest hits compilation, “Greatest Hits II,” followed in October of the same year. On November 23, 1991, in a prepared statement made on his deathbed, Mercury confirmed that he had AIDS. Within 24 hours of that statement, he died of bronchial pneumonia, which was brought on as a complication of AIDS. Queen's last album featuring Mercury, titled “Made in Heaven,” was finally released in 1995, four years after his death. It was constructed from Mercury's final recordings in 1991, featuring tracks such as "Too Much Love Will Kill You" and "Heaven for Everyone," plus material left over from their previous studio albums. In addition, re-worked material from May, Taylor and Mercury's solo albums were included. The album reached #1 on the U.K. charts immediately following its release, and has sold over 20 million copies worldwide. In 1997, Queen returned to the studio to record "No-One but You (Only the Good Die Young)". It was released as a bonus track on the “Queen Rocks” compilation album later that year. The song was later released as a single reaching #13 in the U.K. chart. At the end of 2004, May and Taylor announced that they would reunite and return to touring in 2005, with Paul Rodgers (founder and former lead singer of Free and Bad Company). Brian May's website also stated that Rodgers would be 'featured with' Queen as 'Queen + Paul Rodgers', not replacing Mercury. They released an album, titled “The Cosmos Rocks” in 2008. Queen and Paul Rodgers officially split up without animosity in May 2009. The band has released a total of 18 #1 albums, 18 #1 singles and 10 #1 DVDs, and have sold over 150 million albums, with some estimates in excess of 300 million albums, making them one of the world's best-selling music artists. They have been honored with seven Ivor Novello awards and were inducted into the Rock and Roll Hall of Fame in 2001.